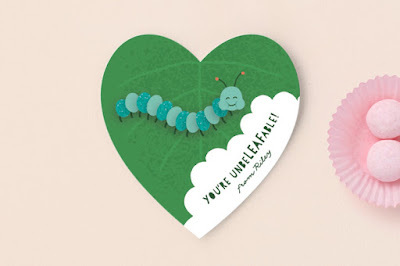 Home / Gift Ideas / Minted’s Classroom Valentine’s Day Cards are Here! 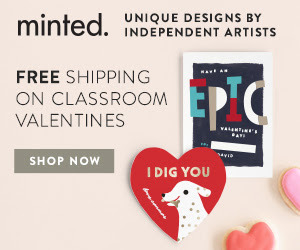 Minted’s Classroom Valentine’s Day Cards are Here! Valentine’s Day is just around the corner and although stores have a variety of Valentine’s Day products throughout the stores you may be looking for something more fun and unique. Instead of getting those normal cards you usually get for your kids, you can order more personalized cards from Minted. 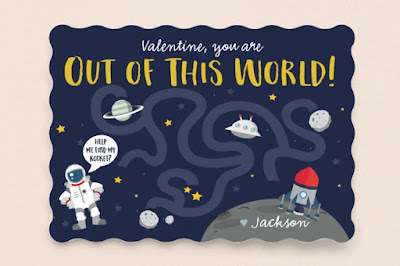 Minted offers the best selection of kids valentines, from cute valentines to funny valentines and everything in the world between! 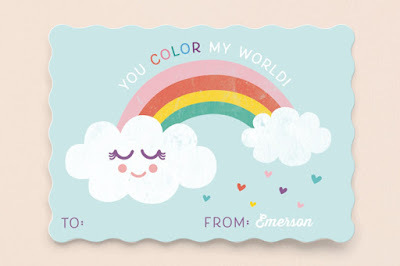 Minted's Classroom Valentine’s Day cards are printed on your choice of their Signature, 100% Recycled, or Pearlescent papers to ensure the cards both look and feel like the standouts of the handout. 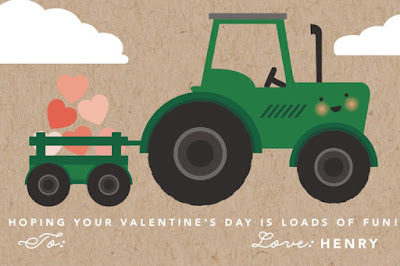 Minted has many different designs for their Classroom Valentine’s Day cards, all of which can be customized with either a picture of your child, special message, and their name. Here are just a few of their cute designs! Shirley Lin Schneider, SoCal native, is a mom of two tots, wife, and designer. She is fueled by coffee and lover of all things pretty. Her work is influenced and inspired by her coastal roots and the world through the eyes of her children. Caitlin of Hudson Meet Rose loves designing and has a passion for invitations. She has a BA in graphic design from the University of Western Sydney, and feels so blessed to be a part of the Minted community. When she's not designing, you'll find her spending time with her husband and two handsome little boys. She has an unnatural phobia of birds and loves getting up early with a cup of tea. Oma N. Ramkhelawan is a graphic designer from Trinidad & Tobago. Her first love has always been art. Her passion for designing at Minted was very unexpected but fulfilling on a whole new level. She loves what she does and is thrilled to get to share it with such a great community. Lisa of Peetie design is an Illustrator, designer, mom, compassionate vegan and animal lover. She lives and works in New York city and happily spends most of her days drawing cute, warm, sweet creatures. I just love the look of these valentine's cards that use 100% Recycled, or Pearlescent papers it really gives them a soft and glowing look! These are so cute! Such a creative Valentines idea! Those valentines are so cute! Definitely have things like that when I was a kid! These are so cute! I would love to give and receive a card as pretty as this. Those Minted cards are awesome! I love the creativity given to each design! The designs are amazing and the messages are cute! It's a perfect valentine's gift! These cards are so cute. Who wouldn't want to get one of these for Valentine's Day. these cards are pretty chic! would love to receive any of these for vday!!! crossing my fingers!